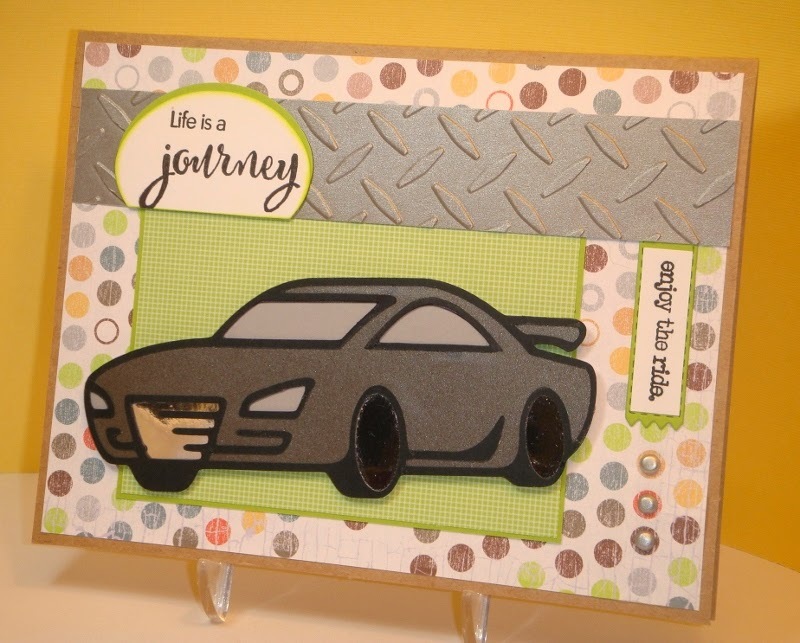 As you can see, I decided to turn the sketch for my card so I could use the car die cut on it. 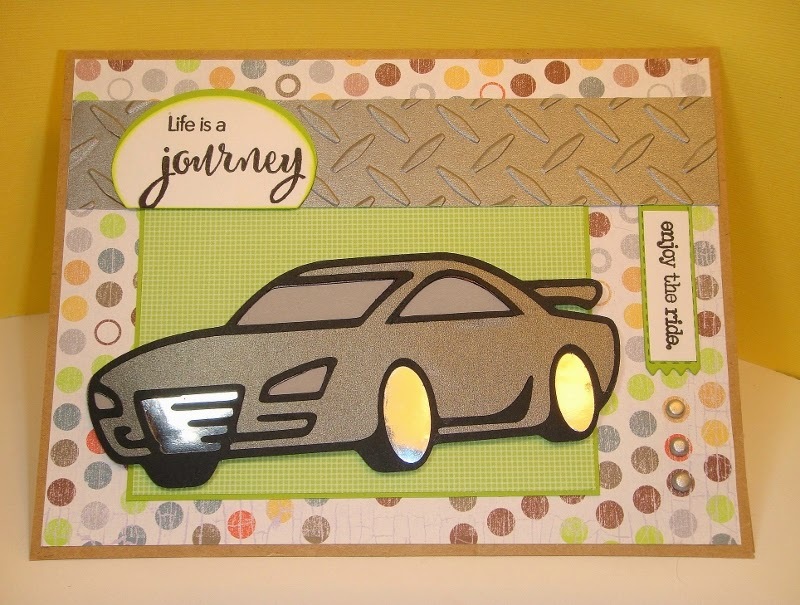 The car is from the Cricut Father's Day cartridge. I used silver metallic paper for the wheels and grill, so it was a little hard to photograph. We hope you'll join the challenge this week using the sketch shown above. 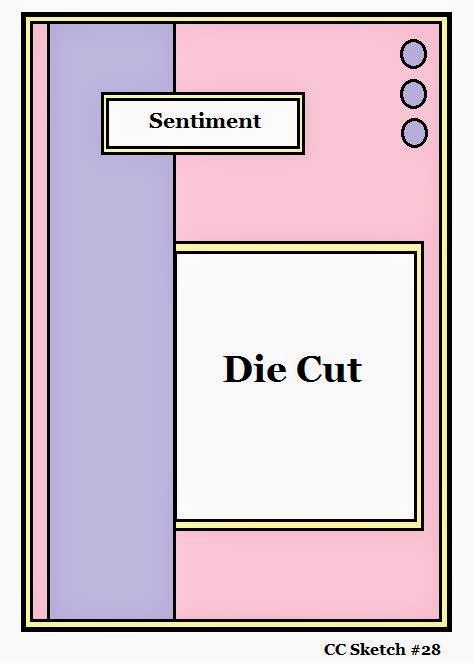 Be sure to use a die cut too, and link your post back to Die Cuttin' Divas. What a fabulous card!! Love the embossing!!! Have a great day. Super COOL!! I love it! Adorable! I love the way part of the sentiment is sideways. It's so fun and playful, and for some reason makes me think of a race car up on two wheels while making a fast turn *LOL*.